We are happy to be launching our first 300-Hour, Yoga Alliance approved, Advanced Yoga Teacher Training Program in March 2018! Whether you are interested in pursuing certification or interested in personal enrichment, you will delve deeper into your own studies and practice of yoga AND expand your knowledge and skills around adapting yoga for chronic health conditions. Our program is offered in a convenient modular format to best accommodate your schedule. Learn from highly experienced Seattle-based yoga therapists, teachers, medical experts and other specialists in related fields. Delve into deeper spiritual aspects of yoga. Go on a life-changing journey with a supportive and like-minded community of yoga practitioners and teachers. Expand your skillset and knowledge as a teacher, if you decide to take that route! Interested to expand your knowledge and deepen your personal commitment to practice and a yogic lifestyle, but are not interested in certification. 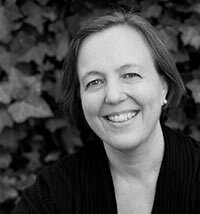 Christy is a 500-Hour certified Kripalu Yoga teacher; Certified Yoga Therapist with the International Association of Yoga Therapy (C-IAYT) and a practitioner of yoga for over 25 years. 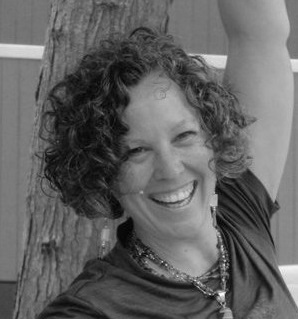 Christy also holds a long time interest in somatic awareness and has been fortunate to study with some of the most influential teachers in the field including Bonnie Bainbridge Cohen, Martha Myers, Martha Eddy and Peggy Hackney along with receiving certification from the Laban/Bartenieff Institute of Movement Studies (NYC). She has also studied the Franklin Method of Imagery and True Embodiment with Christa Rypins. 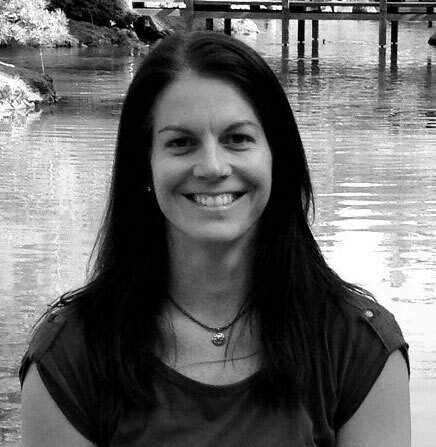 Laura holds a Master’s Degree in Sports Medicine, is a Certified Yoga Therapist with the International Association of Yoga Therapy (C-IAYT) and an E-RYT 500 with Yoga Alliance. She is also a Licensed Massage Practitioner who has taught throughout the U.S. and internationally since 1992. Laura teaches hatha yoga in the viniyoga tradition and has immense gratitude for the knowledge she received and the time she spent with her teacher, Trish O’Rielly, who passed away in 2001. Laura has also been a student and practitioner of Buddhism for 25 years and integrates mindfulness into all of her teaching.By creating awareness in their bodies, breath, hearts and minds, Laura helps her students extend the effects of their practice well beyond their yoga mats. Combining her knowledge and experience, Laura is uniquely qualified to help people who have had an injury, chronic pain or a chronic illness. JULIE has been practicing yoga since 2003 and completed formal teacher training in the Pranakriya tradition with Yoganand Michael Carroll in 2008. Julie’s desire to continue to learn from Yoganand led her to complete advanced certification in 2011 and she has been teaching Pranakriya yoga for over 9 years. Recently, Julie completed a 300-hour training under Dr. David Frawley and became an Ayurvedic Life-Style Consultant. Allison Fine, Masters in Social Work, (LICSW) in Washington state (since 2012). Director and Founder of the Center for Chronic Illness, Seattle, WA and psychotherapist at Counseling for Inner Balance. Janet Novinger, RYT 200, Director of the Wallingford Traumatic Brain Injury Yoga and Wellness Program, Seattle, WA, (Sponsored by Washington State Traumatic Brain Injury Association). For those in the training pursuing 500-hour certification, participants will be required to complete all of the modules and 8 elective contact hours of their choice. Check with Christy to find out more about our wonderful elective offerings! Learn about the powerful effects of asanas on emotional states and how to tailor practices based on individual needs. Deepen understanding of the energetic qualities of breath and how it can support emotional balance. Learn which practices to incorporate and which to avoid depending on emotional needs. Experience gentle yet effective yogic practices to help release deep rooted patterns and limiting beliefs. Realize the freedom inherent in your mind and heart. Participants on the Certification Route will be required to attend one Practice Teaching and Support Session on Thursday evening, April 12th, 2018 from 6:00 – 9:00 p.m. For people living out of town, a distance option is available for this Thursday evening event. Gain knowledge about common conditions of aging including osteoporosis, arthritis and joint replacements and how to create safe and effective practices for bone strength and healthy joints. Receive powerful tools of somatic awareness to support memory and balance. Explore cutting edge research on the benefits of yoga on aging. Expand skills to create safe and helpful practices for chronic back conditions. Learn about the Endocrine System and how yoga can support you in navigating hormonal shifts that come with aging. Teachers on the Certification Route will be required to attend one Practice Teaching and Support Session on Thursday evening, May 24, 2018 from 6:00 – 9:00 p.m. For people living out of town, a distance option is available for this Thursday evening event. 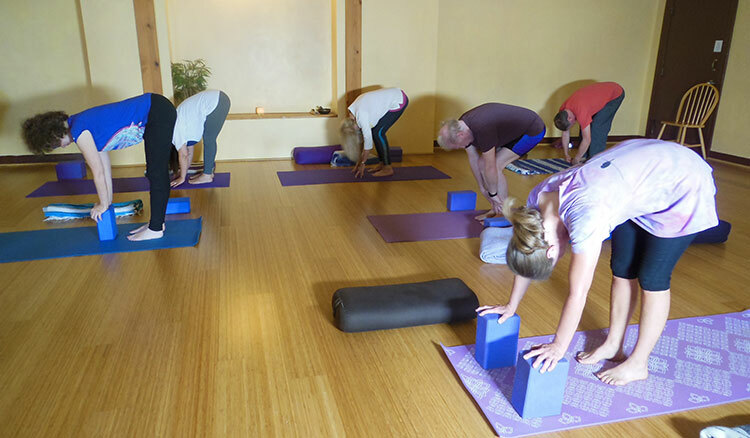 Saturdays & Sundays: 1:00 – 6:30 p.m.
For people on the certification route, you will be required to attend one practice teaching and support session on Thursday evening, February 28th, 2019 from 6:00 – 9:00 p.m. If you live out of town, a distance option will be available! 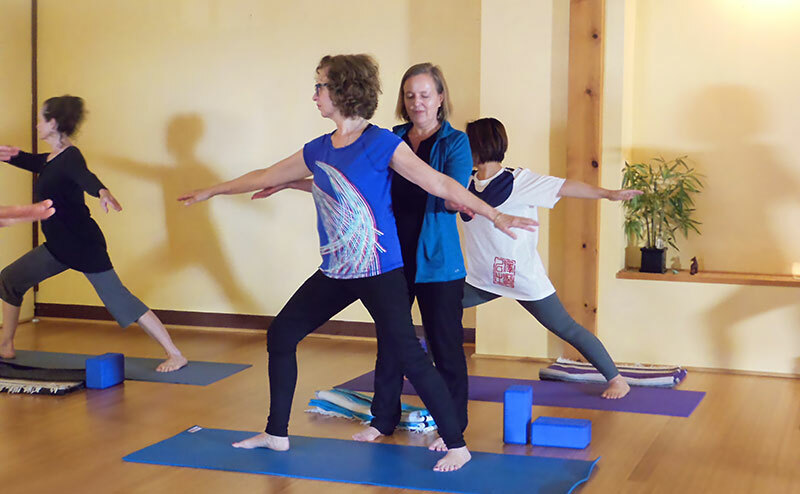 Christy Fisher is a certified Yoga Therapist (C-IAYT), an Advanced Kripalu Yoga Teacher and has pursued a deep interest and studies in somatic awareness for over 27 years. She has been so fortunate to study with pioneers in the field including Bonnie Bainbridge Cohen, Martha Myers, Martha Eddy, and Peggy Hackney. She also holds a C.M.A. (Certification in Movement Analysis) from the Laban/Bartenieff Institute of Movement Studies (NYC 2-Year Program). 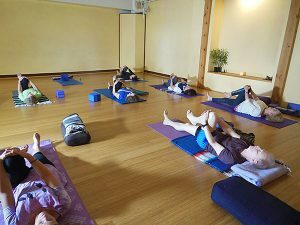 In 2016, Christy also participated in a course with renown Kripalu anatomy teacher, Christa Rypins on the applications of the Franklin Method of Imagery on Yoga. You will experience some of what she has learned in our Fall Immersion above! Day #1 of each weekend is open to anybody who is interested in going deeper into their own personal practice and expanding understanding and awareness of their own bodies. Focus will be on theory and applying it to enrich your yoga practice. Detailed handouts will be provided. Read below for information on how to register for an individual day. Day #2 of each weekend is designed also for teachers or advanced practitioners. Emphasis will be placed on exploring methods of observation and assisting others towards greater balance and ease. Often shoulder cuff injuries, arthritis and other conditions occur because of poor posture and/or movement patterns. Targeted exercises won’t help unless we can recognize the underlying cause and work from there. Explore simple yet powerful dynamic alignment principles of the shoulder girdle and arm bones to reduce wear and tear. Apply these principles to yoga asanas, allowing greater ease in practice. You may find that you can do things that you weren’t able to before! Gain observational skills to recognize imbalances in others, including students or private clients. Learn gentle and clear assists to guide your students towards balance and health. Lower back pain and injury can occur when our bones are moving out of their natural alignment. These chronic habits over time can create wear and tear on muscles and degeneration of joints. Expand your understanding of the dynamic and complex interaction between the sacrum, pelvic halves and thigh bones, and how they can move in relationship for greater ease and efficiency. Discover a deep sense of effortlessness that comes from moving WITH NATURE rather than against it! Receive tools to help you let go of nagging lower back pain and sciatica. Experience a transformative practice called “Constructive Rest” which allows for deep release of tension in the joints. Learn key observational skills to recognize movement and postural patterns in others and gentle, clear assists to guide people towards balance. Deepen understanding of the neuromuscular system and the Developmental Movement Patterns. Learn how these patterns can support injury recovery, support neurological disorders such as MS and Traumatic Brain Injury, as well as other conditions effecting memory, balance and strength. Explore ways of using language and gentle assists to guide students to experience these patterns in yoga practice. Expand full body connectivity and gain a deeper connection to your SELF. Connect to the multi-dimensional movement of the diaphragm, helping to expand breath and support full body connectivity. Enjoy a deeply restorative yoga practice where we will apply our awareness of the anatomy of breath for opening and relaxation. Deepen awareness of the multi-layered core including its neuromuscular framework, fascia and organ system. Explore a wonderful practice for Healthy Organ Suspension! Discover the essential role of the Psoas for back health, injury prevention and recovery. Individual registration option for this module: $1095 or $995 if registered and paid by September 15, 2018. ****Or save even more, register for the full training and save an additional $250 on this module. Learn from two Certified Yoga Therapists who each have over 15 years of experience teaching yoga for chronic health conditions as well as experts in the field. Explore helpful ways of working with anxiety and/or depression that often come from living with a chronic health condition such as MS or TBI. Gain knowledge about physiology, treatments and current research on mind/body practices for MS and TBI. Explore safe and fulfilling adaptive sequences to benefit the diverse needs of students using props such as chairs, walls, straps and bolsters. Experience the healing benefits of Yoga Nidra. Friday: 6:00 – 9:00 p.m.
November 15th, 6 – 9:00 p.m. Deepen understanding of the emotional aspects of living with a diagnosis. Learn how to create and guide safe and beneficial yoga practices for common chronic back pain including Sciatica, and disc issues. Thursday: 6:00 – 9:00 p.m. Optional Thursday evening Teaching and Support Session with Christy Fisher: March 28, 2019. Tuition for WEEKEND 2: $775. Register by March 12th, 2019. $795 after. “I have been studying yoga with Christy for 15 years and have no more back pain! I feel better and stronger than I did 15 years ago.” Patty C.
When I was not able to turn myself over and I was too weak to walk, Christy always found a way of guiding me and strengthening me physically and emotionally. She seems to have a special power and knowledge to help heal any level of our suffering. Meg C.
Participants on the Certification route will be required to attend 2 Practice Teaching and Support Sessions: Thursdays: November 15th, 2018 and March 28, 2019 from 6:00 – 9:00 p.m. For people living out of town a distance option will be available for these Thursday evening sessions. ****Or save even more, register for the full 300-hour training and save an additional $380 on this module. Experience the continuous support of a like-minded community or “sangha”. Each workshop will incorporate time for discussion, sharing, and practice together. Participants will be required to develop a personal meditation practice over the year-long immersion. 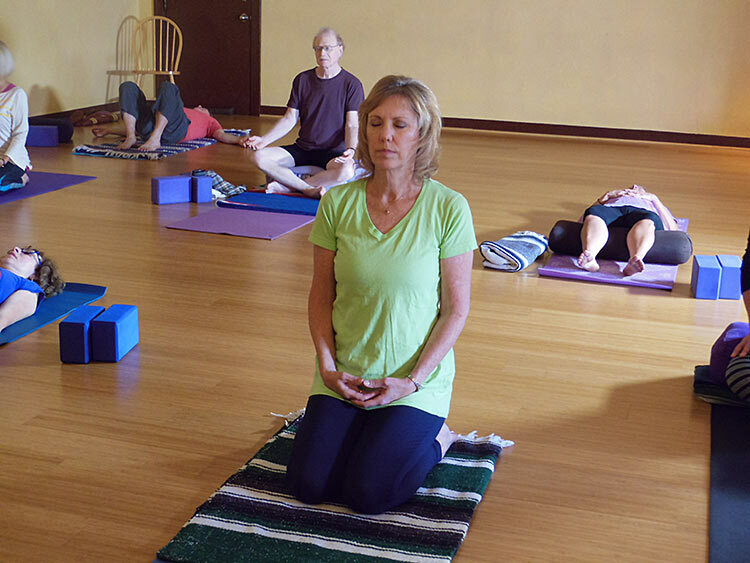 Laura is a master at offering therapeutic asana with gentle challenge and deeply gifted with guiding her students to a blissful state of inner quiet and union.” -D.H. DATES: First meeting on Sunday, September 9, 2018 and then on the first Sunday of every month through June, 2019. “Dharma” is often understood as an inner blueprint of your deepest authentic self, a path to your highest potential. Yet often dharma feels obscure and out of reach. How do you know if you are on “your right path”? For thousands of years, yogic teachings have addressed this human dilemma and offered maps to deeper peace and clarity. Clear paths to our heart’s inner callings, through movement, stillness, sharing and personal quiet time/reflection. Explore the ancient practice of “Samyama” to experience deep compassionate connection to one’s self, others, and nature. Learn simple techniques to access inspiration from an infinite reserve. Create gentle rituals to bring a sense of wonder and the sacred into every aspect of life. 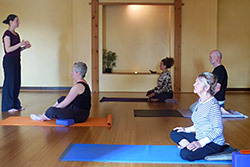 Faculty: Christy Fisher, Certified Yoga Therapist (C-IAYT) and Laura Yon, Certified Yoga Therapist (C-IAYT). Friday – Sunday, May 17th – 19th, 2019; June 21 – 23, 2019. Fridays, 6:00 – 9:00 p.m.
Saturdays, 1:00 – 7:30 p.m.
Sundays, 12:30 – 7:00 p.m.
Register for Individual Module: $825 or $775 if registered and paid by May 1, 2019. Register for our >full 300-hour training and save $330 on this module. Often considered to be the height of wisdom of Vedic philosophy, The Upanishads are a set of beautifully written accounts of what it is like to truly look inward and see the Divine. Its texts are among the most important in the history of Indian religions and culture and are still widely incorporated because they are so relevant to contemporary life. Much of modern yoga has roots in the Upanishads including the model of the Koshas which provide the foundation for many of our other modules in this training. Explore 10 Upanishads which are often considered to be the most widely incorporated teachings. Enrich your personal practice and your teaching by deepening understanding of these powerful transformational texts. No prior experience with the Upanishads is necessary to attend this immersion. Saturday 1:00 – 8:00 p.m.
Sunday 12:30 – 7:00 p.m.
Register for Individual Module: $450 or $395 if registered and paid by April 1, 2019. ****Or save even more, register for the full 300-hour training and save an additional $115 on this module. Teaching three 1-hour classes to a small group in your community based on a topic(s) covered in our training. Receive feedback from group and lead facilitator based on Phinney Ridge Yoga’s model of Conscious Communication. Completing an ethics workshop with lead facilitator. Attending 10 community classes with lead facilitator and turn in reflections based on guided questions. Receive 25 percent discount on up to 3 private sessions with a lead facilitator. You can use these at any point during your 300 Hour training! You will have 4 months from your last module to complete this session. You can register for this module and begin parts of it at any point during the full YTT training. (observing/attending classes; meeting with facilitator). ****Register for the full 300-hour training and save $265 on this module. Payment plans are available. Check with Christy to learn more! To pay by check, contact Christy at 206-547-2172. Guarantee your spot in each module! Space is limited. Choose up to 3 elective courses of your choice! Benefit from a smaller class size of under 30 students. Many teacher trainings programs have between 50 – 60 students in them! We understand you may need to miss a module due to schedule issues. We will work with you to make up a maximum of 2 modules in the next training cohort. To learn more about registering for individual modules, click on each module title (above).